The ultimate in multi-station controls is a central lighting system. Based on commercial lighting systems, these are sophisticated, microprocessor controls. 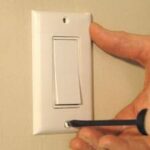 Made by several major manufacturers, they let you monitor and control many different switches and dimmers throughout the house from a central control panel. At a glance, you can tell which lights are on, and, with the touch of a single button, you can turn all of the lights on or off. Some can be configured so that you can control any light from any switch. Most are meant for new, custom-built homes—the house’s wiring generally must be installed specially for the system. Some models are the same size as a normal light switch cover but operate several different circuits. Multiple-station controls can be pre-set so that, with a single touch, they provide candle-like atmosphere in the dining room; relaxed, tranquil lighting in the living room; and bright, activity lighting in the kitchen. Grafik Eye lighting control is a wireless unit that controls six lighting zones. 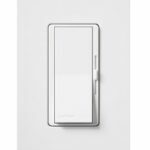 Similar controls can be programmed to handle several circuits in one room—Lutron’s Grafik Eye, for example, switches or dims up to six different lighting zones. With it, you can pre-set light levels for each zone based on activities such as “Party,” “Reading,” “Cozy,” and “Family,” and then just push one button to activate those settings. You can set up fade times, create paths of light, and operate the system with a remote control. Some central controls, such as those by AMX, Honeywell, Plexus, and Unity are the brains for a complete home-automation system. They handle heating and air, security systems, audio and video systems, and more.